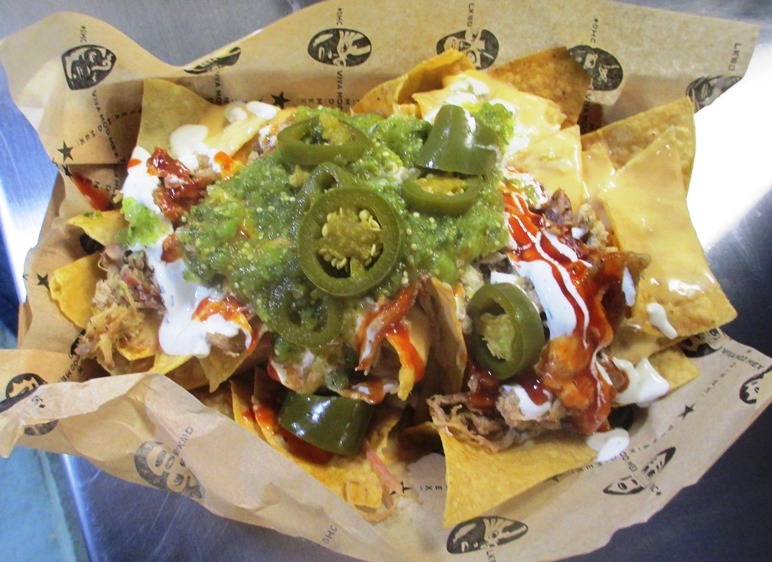 If you love nachos with your baseball (and who doesn’t?) the home of the Indians will make you very happy. There’s not only three types of Progressive Field nachos, they’re all very different and great in their own way. Here they are, in order of my personal preference, but your mileage may vary. That’s what nachos need folks…lots of ingredients. Progressive Field Nachos, #1) Barrio. Barrio is a Tremont-based eatery that is mostly about handmade tacos, crafted by a team of experts before your eyes. But they also make a truly awesome…and large…plate of nachos. Barrio makes a big plate of chips with melted and shredded cheese, several types of salsas, and extra chicken or chorizo for a small fee. 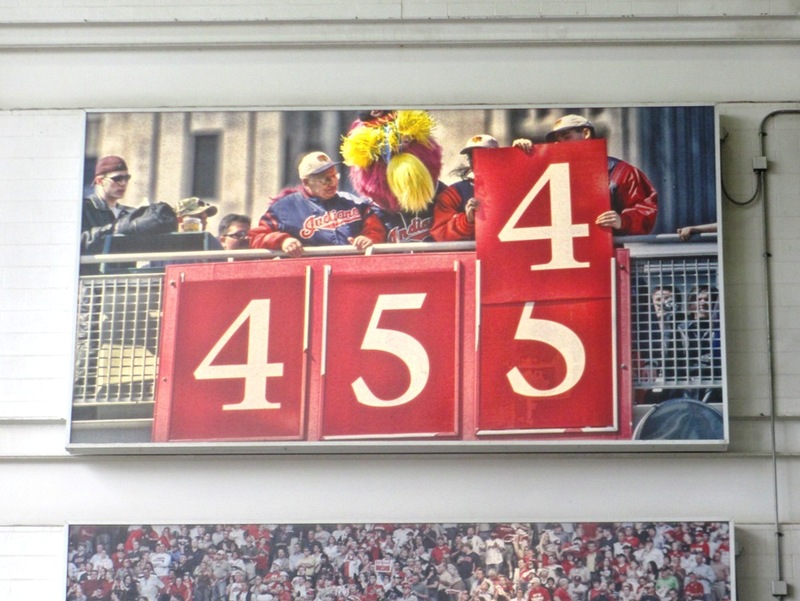 It’s easily enough for two, and reasonably priced for a ballpark. The chips are salty though, so be sure to get a drink with them. Not just sour cream…cilantro-lime cream. This is a ballpark, remember? 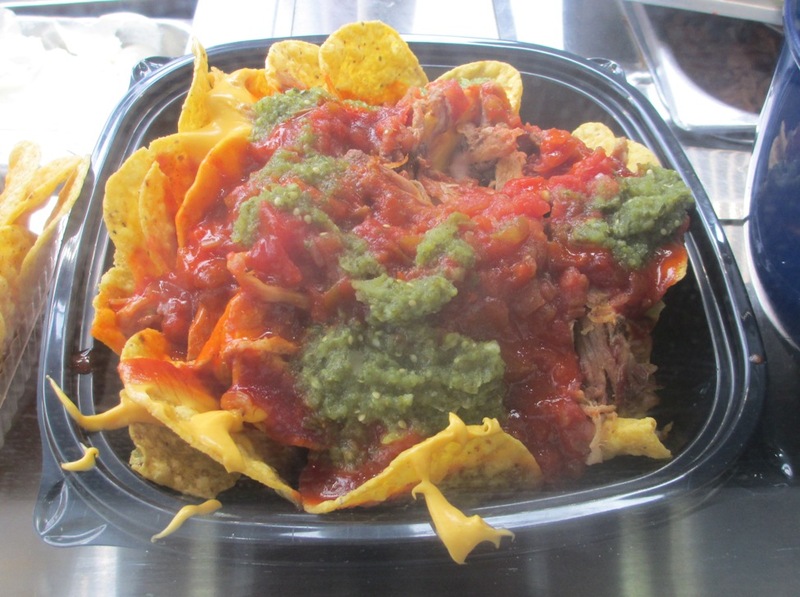 Progressive Field Nachos, #2) Momocho. Ohio City based Momocho is more focused on nachos and quesadillas, and their chips are made to order and heated in a giant rotisserie oven. Toppings include chicken, pulled pork, or chorizo, with pickled jalapenos, green salsa and a cilantro lime cream that both tastes and looks nice. And you can get extra queso or beans. The chips are less salty here than at Barrio, but that doesn’t mean you shouldn’t wash it down with a Luchador. Just in case you were wondering if anyone had red salsa. 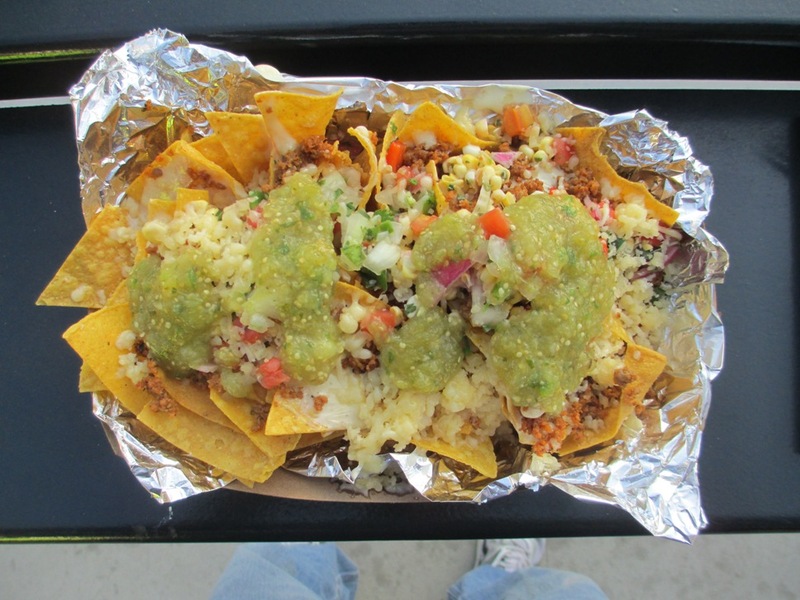 Progressive Field Nachos, #3) Locos Nachos. They aren’t a locally based brand like the two heavyweight nachos at the Prog, but that doesn’t mean you should dismiss them. At Locos you can get a perfectly adequate plate of beef, pork or chicken nachos, with Blanco cheese and red or green salsa. You can even add BBQ of Buffalo sauce, which doesn’t hurt Locos as a nacho choice. It might be cheaper than the other two too, but don’t hold me to that. It is a place where you can get nachos without waiting in line, though. That’s three excellent brands of chips with stuff piled on at Progressive Field in Cleveland. But the place has a great selection of other Cleveland based stuff too, like Happy Dogs, Ohio City Burritos, Melt grilled cheeses and much more. The food selection alone at the Prog is worth the price of the ticket.